The Dresdner Sinfoniker are amongst the leading symphony orchestras for contemporary music. The ensemble’s productions – which feature musicians from almost every important European orchestra – have received numerous awards, including the UNESCO special prize “Welthorizont” and the ECHO for classical music. The Dresdner Sinfoniker are a laboratory for multimedia projects, making sounds visible and colours audible. Their performance conditions are always exceptional: instead of sitting in an orchestra pit, the orchestra is seated on the balconies of an industrialised apartment block as during the Hochhaussinfonie, 2006; or the conductor, instead of standing in front of his musicians, is broadcast live, like a hologram from another world as in Erstes Ferndirigat der Welt, 2008. 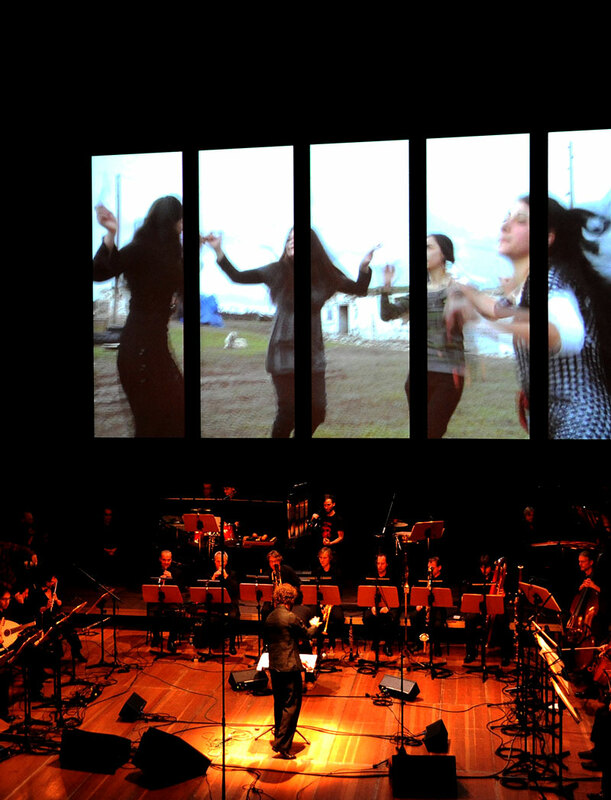 The Dresdner Sinfoniker’s big events, featuring large screen projections and live performance, are complex musical scores of events. They have the artistic power to make audiences sit up and take notice. For years the spectacular projects of Dresdner Sinfoniker have combined music with socio-political issues. In 2016 they created international headlines with their German-Turkish-Armenian concert aghet – ağıt, a project in commemoration of the Armenian genocide. The orchestra knows what civil courage and free thinking can achieve: most members witnessed the German reunification first hand. In 1989, their artistic director and cofounder Markus Rindt fled East Germany, using the German embassy in Prague as a passage to freedom. The Dresdner Sinfoniker are co-financed by the State Capital Dresden – Amt für Kultur und Denkmalschutz (“Office for Culture and Monument Protection”) and by tax revenues on the basis of the budget approved by the members of the Parliament of the State of Saxony.